My vision for this track came from the Lord of the Rings and Hobbit trilogies. 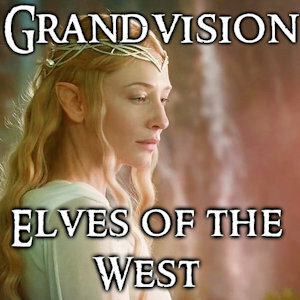 How the High Elves of the West were different from the rest, more inclined in the wars of Man and Dwarf, but yet they did not forget their original ways. Through song and voice they enchanted their homes and their woods, with every note the winds rustled through the emerald trees, and the birds whistled the tunes. I wanted to express that floating feeling of the Elves, how their voices were mysterious yet ethereal. Myself being an avid fan of nature, fantasy and all manner of strange and vivid worlds I wanted to translate that feeling in this track.